Main advertisement (2nd page followed the title one) = 5 000 CZK/ 200 €. Other advertisements (further pages and/or their parts) = agreed price (based on the area). 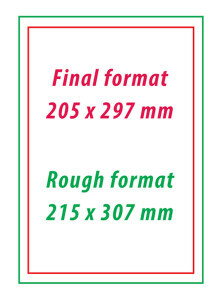 Advertisement format = 205 x 297 mm. *.pdf, *.eps, *.jpg or *.tiff; if agreed with the technical editor alternatively in other format too.